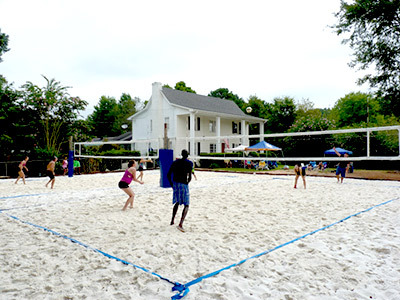 Hi, I'm Jim Koza, owner of The AtlantaPros Real Estate Team, and I've been playing competitive volleyball for over 37 years. As an avid lover of the game, I previously hosted doubles grass volleyball on three grass courts in my backyard multiple times a week since 2005. Love grass doubles... it's FAST and HARD volleyball. 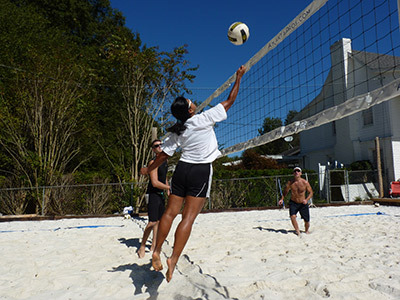 After wearing out a disk in the back, in 2014, I built two of the highest quality beach volleyball courts in Atlant. These have given me low impact ball to continue my playing years. After construciton, I was overwhelmed by incredible interest in these sand courts from both the adult and juniors communities, and set into motion the long process of attempting to rezone my property to allow more access. It took 18 months of work, but the final vote by the Alpharetta city council was January 25th 2016... and we were APPROVED!!! I've recently added guys and girls bathrooms with showers, LED court lights, parking, and was licensed for business October of 2018. 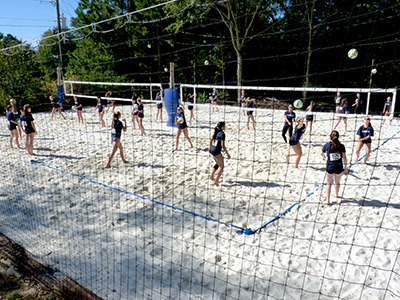 I'm ecstatic to be able to share these beautiful quality courts other beach enthusiasts. 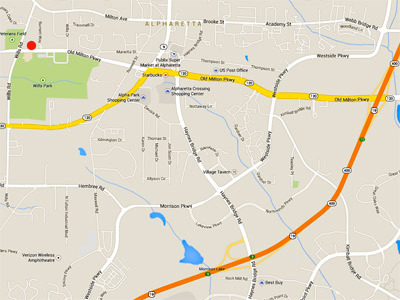 Conveniently located just 2 miles off GA400 near downtown Alpharetta, across from Wills Park, just 15 minutes from I-285. If you would like to have time set aside to enjoy the courts, or have other ideas on how you can help, I look forward to hearing from you.